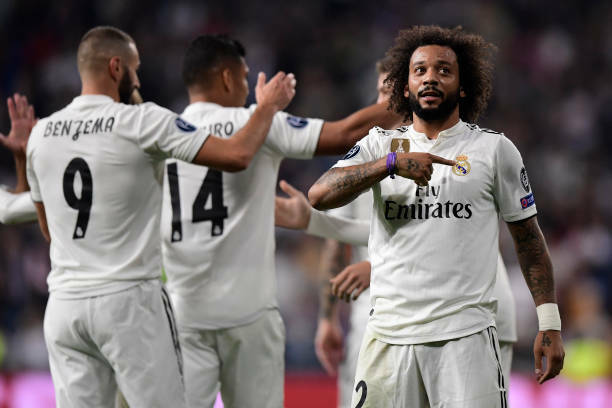 Real Madrid grab their second win in Group G of the 2018 UEFA Champions League after thrashing Viktoria Plzen 2-1 at the Santiago Bernabeu on Tuesday night. 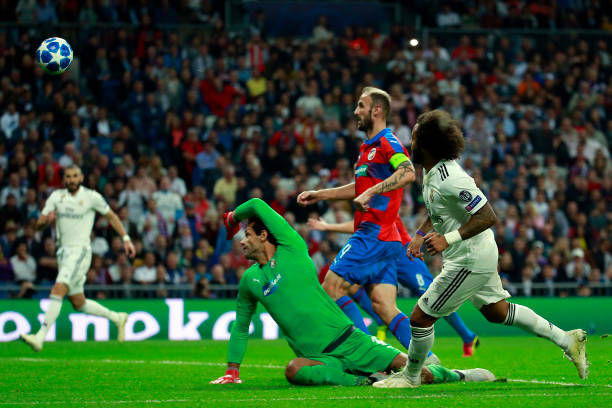 Karim Benzema gave Real Madrid the lead before Marcelo scored, but Plzen got a goal in 12 minutes remaining through Patrik Hrosovsky. Plzen midfielder Milan Petrzela missed two excellent opportunity before Benzema opener, with the second a particularly glaring miss. On both occasions, Plzen had carved a hole in the right side of Real madrid back four where winger Lucas Vazquez was playing as an auxiliary full-back. 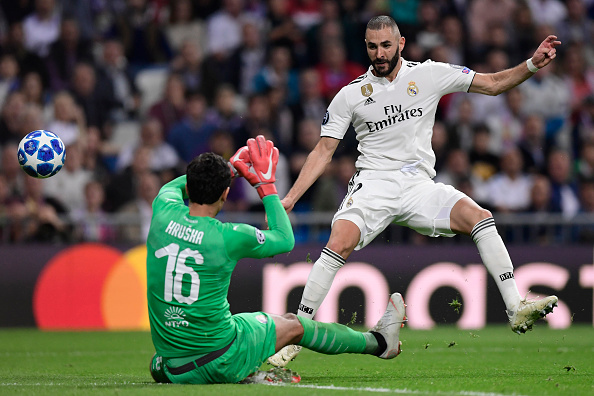 Real Madrid held on to offer a temporary relief for their manager Julen Lopetegui before Sunday El Clasico against rivals Barcelona.